The Climate Institute's last hurrah finds great frustration with a lack of climate action. The vast majority of Australians (96 percent) want Australia’s future energy mix to be dominated by renewable energy. CANBERRA -- Amid the growing political fight over power prices and energy security policy, the last major offering from the soon to be defunct Climate Institute has revealed Australian's frustration and disappointment with what they see is bickering and stalling over climate change action and renewable energy. The Institute's 11th annual "Climate of the Nation 2017: Australian attitudes to climate change" report, released on Tuesday, has recorded Australian politicians being seriously marked down over climate policy over the past 12 months and virtually all respondents surveyed (96 percent -- including Coalition voters at 94 percent and One Nation voters at 93 percent) demanding a shift towards a serious amount of renewables in Australia's energy mix. In the national survey of 2,600 Australians, 71 percent believe climate change is occurring, 85 percent believe the Turnbull Government has a responsibility to drive action on it, while 73 percent see strong economic, environmental and social benefits and opportunities in the shift to a clean economy. The report finds the Australian public is "fatigued, discouraged and disempowered" by fights over the facts and implications of climate change, but they "overwhelmingly" want action. 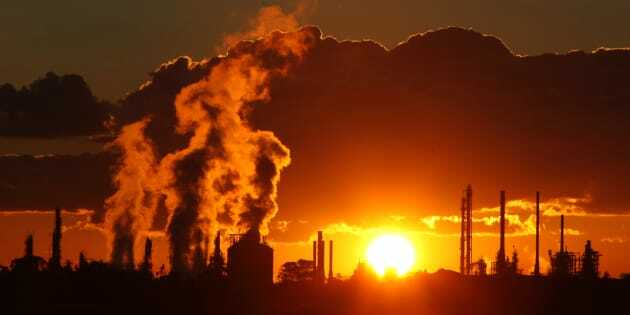 Sixty-three percent want Australia to be a world leader in finding solutions to climate change. 71 percent: accept that climate change is taking place. And, in Australia's longest -- but now ending -- continuous survey of community attitudes to climate change and energy, politicians and privatisation are also being significantly blamed for high power prices. "They are concerned about energy security," the Climate Institute's acting CEO Olivia Kember told HuffPost Australia. "They don't want the lights to go out, but they are not seeing going up or down a track at the moment. "We seem to be fumbling in place and not seeing a direction and not really following a path at all. Just sort of fighting on the spot. "The path they they want us to go down is one that is dominated by renewable energy." Forty-one percent of those surveyed considered the Turnbull Government to be doing a "fairly poor" to "terrible" job on climate change and energy, up from 33 percent last year. Only 18 per cent judged the Coalition's performance as "good" or "excellent". At the same time, around 70 percent of those surveyed are concerned about the impacts of climate change, particularly about the Great Barrier Reef. "Basically they don't see the government delivering on what needs to be done," Kember told HuffPost Australia. "Instead they see a lot of fighting between governments. They see a lot of mixed messages and they don't see a lot of action on the ground. "I think it shows really clearly that people know what needs to happen. "They support action on climate change and they support a transition to a cleaner energy scheme. And they are tired of waiting for the government to get its act together and deliver that." The vast majority of Australians want the nation's future energy mix to be dominated by renewable energy (96 percent), preferably supported by storage technologies (58 percent). A majority (60 percent) want traditional coal generation out of the energy mix within the next 20 years and 72 percent would like to see an "orderly, managed transition" to clean energy get underway immediately. Energy prices in much of the nation are expected to rise shortly. In NSW, South Australia and the ACT, there are expectations power prices will rise by up to 20 percent on July 1. In Queensland, the rise is expected to be more constrained. "Everyone is just about to get bills that will increase our electricity prices by about 20 percent," Kember said. "That is just starting to come through to people's residential energy bill now. "That is huge. That is twice as much as we saw the increase we saw from increase from the carbon price." The Institute sought, for the first time, what Australians thought were the causes of power price rises. The leading three reasons were the privatisation of electricity generation and supply (55 percent), federal government policy uncertainty or poor policy making (44 percent) and excessive gas exports creating a short term domestic gas supply crisis (34 percent). "I think it reflects disenchantment with the way the energy market is working," Kember said, adding she was "astonished" with the first choice. "But, then the second reason was poor policy making, so people are also pretty unhappy with the Government setting the rules around that. "The things people really did not select in a big way are the things the Government has been talking about the most like the state moratoriums on gas supply and the unreliability of renewable energy requiring extra investment and back up power." Seventy-one percent of Australians think climate change is occurring, slightly down from last year's results which was a record high of 77 per cent. It continues an upward trajectory from 64 per cent in 2012. Only 15 percent of Australians do not know if climate change is taking place and 13 percent believe climate change is not happening, up slightly from eight percent last year. This year's politicisation of climate change, according to Kember, has had an effect on people. "They are quite confused by all the conflicting information in the media," she said. "There is in the media an ongoing debate whether climate change is real that is not reflected of the scientific understanding of what is going on. "Meanwhile, the science is getting stronger and stronger." Solar power (49 percent) remains the most popular choice of energy in Australia by far. Further behind are wind, hydro, nuclear, gas and coal. Nuclear power rated slightly better than gas or coal, especially in South Australia. As well, 87 percent of those surveyed called for Australian climate change leadership on the international stage and did not want Australia following any move by the United States to withdraw from the Paris climate accord. "I think it is very easy for people that might oppose the Paris Agreement, or might oppose Australian action to say, 'Oh well if the U.S is not in it what is the point?' And it is very clear that just does not wash," she said.